Teak Wood Hotel is a longstanding family-run guesthouse that has gradually expanded over the years into a more substantial, small hotel-style establishment. Ad Book now! Rates from US$13.64++. Average rating 7.4 from 237 reviews. The original two-floor, ramshackle brick and teak house remains, offering several uninspiring standard rooms, while four slightly dingey bungalows in a single-storey block are found in a yard out back. The best are the superior rooms in a newish brick and concrete block, which are much brighter and airier with views to boot. The top floor of the block was presumably intended as a rooftop restaurant but is rather a waste at present since they haven’t got round to opening it yet. The superior rooms are spacious and pleasantly decorated with a mixture of bare brick and wood panelled walls and varnished flooring. These rooms come with hot water, pebble-dash bathrooms and balconies with fine views; for Inle it represents a not-bad deal. The cheaper fan-cooled rooms are cramped and also come with the dust-trap pebble-dash bathrooms. Beds are comfortable, but our main issue with the rooms was the impressive mosquito population. Staff pointed out that these are a Nyaung Shwe-wide problem, which may be true to a certain extent, but we haven’t seen any other rooms quite so badly infested. While a mozzie net was provided, ours unfortunately didn’t quite make the edge of the bed. Corridor lights left on all night, wafer-thin curtains and noisy fans also demonstrated a lack of attention to detail, though to be fair renovation was underway when we visited in mid-2016. We weren’t impressed with the more expensive bungalows out back, which had zero view and though very roomy seemed a bit over-priced. Their good superior rooms are the reason we’re voting for Teak Wood. The family staff is generally very helpful, though we wouldn’t want to get on the wrong side of the matriarch grandmother, who seems a permanent reception fixture. Though the first floor cafe is a pleasant spot for a morning coffee, breakfast itself – along with mozzies – is also a decided weak point. If you can spring for paying yourself, take the five-minute walk through to Thu Kha tea shop. 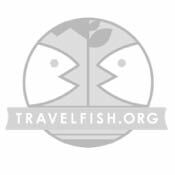 The location, just off Yone Gyi Street, and a short walk from the jetties, is a plus. 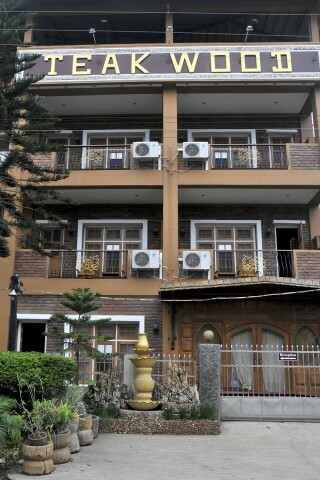 Check rates at Teak Wood Hotel on Booking.com.